Spruce up your kitchen with coffee machines, dinnerware, and more! Getting married? Start a registry with us today! Beautify your outdoor space with a park bench wind chime and more! Visit Evalene’s Gifts & More to shop our expansive inventory of housewares, unique gifts, outdoor décor and boutique items. Whether you need something to spruce up your own home or someone else’s, we have it here. Find the perfect gift for anyone on your list! Locally-owned and -operated, Evalene’s Gifts & More has been supplying quality products for any occasion to homes across Texas since 1972. We are the go-to gift shop in Plainview, TX for cookware, home décor, baby items, hats, collegiate items, mugs, outdoor décor and more. With an impressive selection, we are quite possibly the largest gift store between Dallas and Denver. Our unique items are guaranteed to fill your shopping needs. Once you’ve found your treasure, we provide free on-site gift wrapping for small items. Our customers love our quality one-on-one service that has made us the top gift store in Plainview, TX for decades. We are locally-owned and family-operated, established in 1972. We offer free on-site gift wrapping for small items. Our unique gifts include something for everyone. We offer wedding registries and are happy to help you shop our store for your list. We proudly sell leading brand-name products for your home. Evalene’s Gifts & More is your ultimate source for unique housewares, décor and gifts. 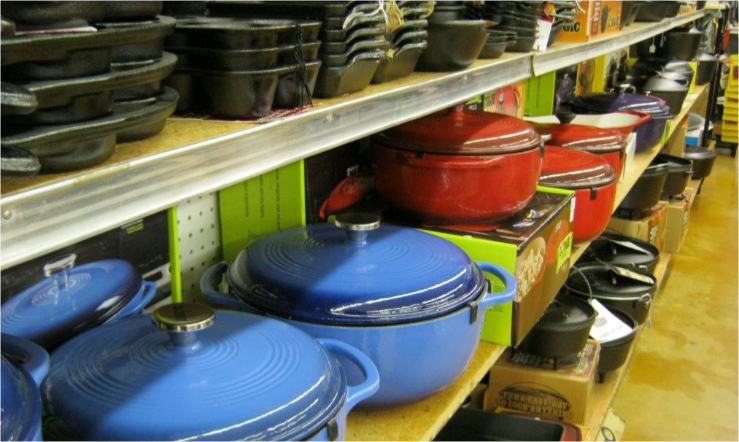 Stop in today to peruse our impressive selection and see for yourself what we have to offer.